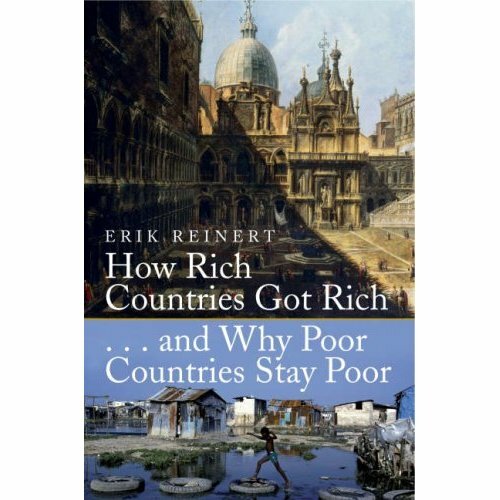 Book review: ‘How rich countries got rich, and why poor countries stay poor‘, by Erik Reinert. There are two main schools of economic thought, capitalism and marxism, and we all know which one dominates the world today. What is less known is the divisions within capitalism, that there are two main ‘canons’ of literature. Neo-liberal economics prevail, are taught in business schools and applied by the Washington institutions of the IMF and the World Bank, but there is a whole ‘other canon‘ of forgotten or conveniently ignored literature that needs to be taken into account. Reinert is a leading scholar of this alternative philosophy, and it is in this canon that he believes we’ll find the answers to the question of the title. The first rich countries, Holland, England, and Italy, developed through these rounds of diversification, and industrialisation protected by government intervention. Holland followed the process through ship-building. England started with wool, and later cotton, coming to dominate the European markets for cloth. Each realised that selling finished products was more worthwhile than selling raw materials, and used tariffs and sanctioned monopolies to protect their early industries. It was England’s planned shift from selling raw wool to selling finished cloth that set it on the road to development. Consider then, that this abomination is exactly what the IMF impose on developing countries today, who are encouraged to gear their whole economies towards raw materials. They are encouraged to focus on one tradeable commodity, like coffee, rather than diversify. They are forbidden to use tariffs, subsidies, or other forms of market protection to develop any kind of manufacturing industry. Consider too that in 1744, Matthew Decker advised colonists that colonies should not be allowed to develop manufacturing industries, as the only thing where “our interest can clash with theirs.” Instead, they should be persuaded to grow raw materials and tempted with promises of free trade: “because people in the plantations, being tempted with a free market for their growths all over Europe, will all betake themseves to raise them to answer the prodigious demand of that Free Trade, and their heads be quite taken off from manufactures.” In other words, the IMF preaches the exact doctrine that the old colonists preached to make sure that the colonies never developed. Reinert delivers page after page of evidence of how the orthodox economic policies of the Washington Institutions have ignored history, and therefore don’t understand how countries develop. He shows how “real wages in Peru peaked when the country did everything ‘wrong’ according to the Washington Institutions, how NAFTA destroyed Mexico’s manufacturing, how China and India are developing by completely ignoring IMF policy. ‘How rich countries got rich, and why poor countries stay poor’ is not an easy book. I actually bought it last autumn, and didn’t know enough economics to understand it at the time. It’s a long book too, and I’ve been working through it for weeks. I’m glad I came back to it though. It is full of good historical analysis, and pulls no punches. Reinert is not afraid to stir up controversy, dismissing the Millenium Promises for example. Like Naomi Klein, he has no time for Jeffrey Sachs, comparing him indirectly to both Attila the Hun, and elsewhere Marie Antoinette. (for suggesting in an Economist article that Mongolia specialise in software development, in a country where only 4% of people outside the capital have electricity – a comment with echoes of Antoinette’s ‘let them eat cake’.) Despite his rhetoric, he appears to be right. Joseph Stiglitz, former director of the World Bank, would agree with much of the critique here. It is a critique from within capitalism, from the other canon, rather than from the left. As such, it is far more applicable than many alternative theories. I will leave you to explore more of the Other Canon yourselves, but Reinert’s book is best summarised in the line “today’s best advice to Third World countries is ‘Don’t do as the Americans tell you to do, do as the Americans did. 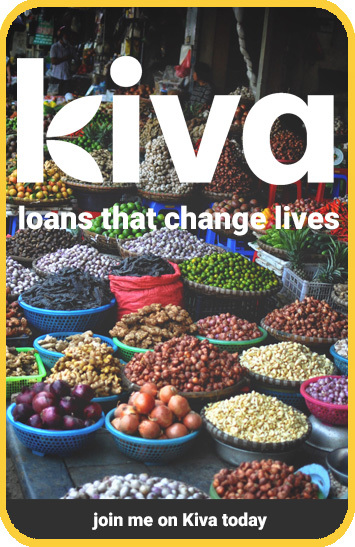 Equitrade – building manufacturing in developing countries. This book is definitively one of the leading alternative views in economics. Focusing on productive structure meaning productive capacities and capabilities is the right approach if embedded in an agglomeration and networking process based on cumulative earnings and regulated distribution systems. Nevertheless, for Africa, I have to disagree with the statement: ‘Don’t do as the Americans tell you to do, do as the Americans did’. There is not such as repetition of economic history. The American or European universalism views in economics are simply not adapted to the African continent where solidarism and collective interests have structured people’s behavior. Unfortunately, a decolonization of the postcolonial period is needed. Only transparency, good governance, citizens participation in the decision making and democracy and not palliative democracy could contribute to the emergence of Africa’s diversified own well-being path. It cannot be the American way, nor the European or Asian way. This afrocentricity approach is still stopped by African decision-makers themselves, but, not all of them. The 2008 financial crisis’s consequences may reverse this situation. More collective African position, less capital flight and new confidence in the economy of proximity could ensure that weak influential countries do not stay poor. Shared economic prosperity might be the forthcoming economic paradigm for Africa. It may ensure that economic growth is not based on the “maximization of profits principles” but become gradually people centered with redistributive governance favoring social safety nets. Thank you Yves, I think you’re right, and I look forward to seeing Africa develop its own model over the coming years. Actually, it might be more accurate to say that the two main schools of economic thought are capitalism and socialism, and that each has two branches. On the capitalist side there is international free-trade capitalism (neoliberalism) and national, protectionist capitalism (economic nationalism). On the socialist side there is ‘scientific socialism’ (Marxism) and ‘utopian’ socialism (Anarchism). Each branch has its key theorist: Adam Smith in the case of neoliberalism, Friedrich List for economic nationalism, Karl Marx for ‘scientific’ socialism, and Thorstein Veblen for utopian socialism. Of the four, I believe Veblen is most relevant. Yes, and there’s actually some pretty significant differences between each of those sub-schools. Thanks for pointing that out. The anarchist branch of socialism is something that is ready to be rediscovered I reckon, in the context of re-localization perhaps. And with something of a re-brand. Both anarchism and socialism have lost their meanings along the way. (Personally, I’d recommend the writings of Peter Kropotkin). Veblen’s works are not the easiest to find. If you’re interested in his books, just send me an e-mail and I’ll happily provide some of them in pdf format. it is a combination of the climate of a given region locally and the human population individually and globally. ultimately or perhaps basically all a country needs for sucess is to be able to feed the people within its borders from within its borders. this very rarely suffices however and indeed many countries with such innate ability fail to acheive it and many without such capability acheive sucess beyond their means. Wonder if you have this book .. “How rich countries got rich, and why poor countries stay poor” and another one: “Bad Samaritans : The Guilty Secrets of Rich Nations and the Threat to Global Prosperity” in pdf or whatever formats? I’m afraid not, both on the shelf in clunky hardback. In Venezuela the Chavismo version of socialism has eliminated almost all other forms of productivity leaving only oil as the sole form of national income. This was a problem before Chavismo but it is now much worse, to the point where Venezuela is effectively much poorer. Venezuela’s state enforced extreme hypocrisy leads to high levels of Incompetence and corruption. This has greatly reduced Venezuela’s diversity of personal industry and personal economic options. This is true and the reason why Jewish Hedgefunds try to control the internet/information in the world (Google, Facebook, Hollywood) while denying others the same opportunity.